– 60 m Sewer jet Hose and Reel. 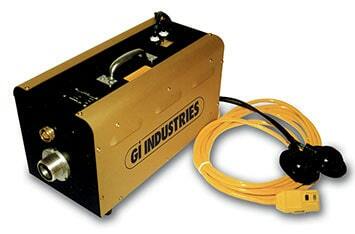 Separate shut off valves are provided for changeover to a high pressure washing gun. Header Tank : A 500 litre polyurethane transport type header tank and copper intake float valve for water level control is supplied. Drain Nozzle : Various types of nozzles are available, we have allowed for one standard retro jet drain nozzle with one forward and five rear facing jets. Hose Reel : A hydraulically operated hose reel with 100m of Urethane covered reinforced ½” sewer jetting hose will be supplied.